Aside from dyeing bright and cheerful NOLA colorways, Robyn of TeenyButton Studio also has a geeky side. 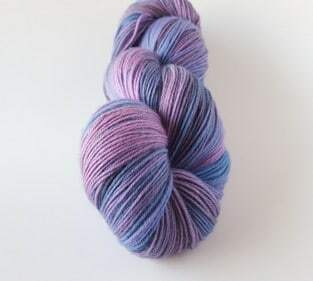 Her latest offering is a Harry Potter Yarn of the Month Club — you pick your base and Robyn sends the yarn, with a colorway that will be exclusive for three months, or that will disappear from her lineup entirely. 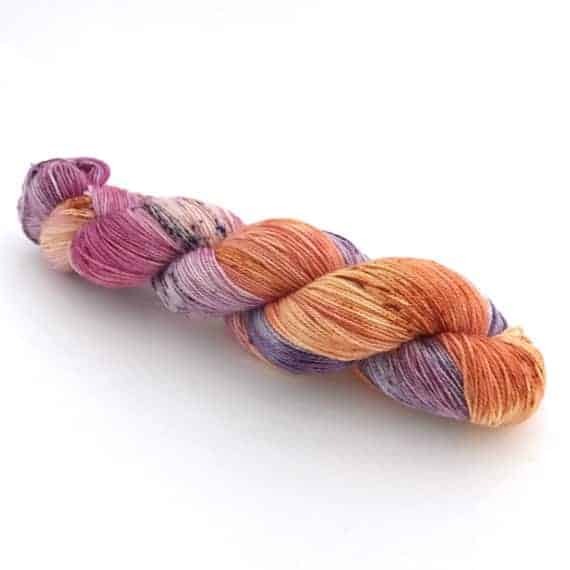 Sarah of One Hand in the Dyepots has updated her shop with two new colorways. Above is Smokey Aubergine, a moody pink, purple and grey. There’s also Quantum, which uses a tie dye technique. The annual April knit along is going on in the Elliebelly Dye Works group on Ravelry. This entry was posted in What to Stash and tagged Harry Potter, KAL, knitting, OOAK, pre-orders, updates, yarn, yarn club.